Industrial Washing Machines (IWM) has recently launched a lease service for its custom-made and off the shelf washing and sanitising equipment. Starting from as little as £24 per week, the lease service can help lessen the financial burden for small and medium businesses in need of equipment upgrades. The new lease system allows companies in the bakery, butchery, ice cream, catering and other food industry sectors to use equipment and pay for it in monthly instalments as it generates profit – practically paying for itself. Opting for a lease on one of IWM’s innovative washing machines benefits buyers in that, unlike overdraft facilities, lease rentals are unaffected by interest rate changes. This means that rentals are fixed throughout the period, allowing businesses to budget effectively and spend money where it is truly needed. Using existing lines of credit can tie up funds that may be needed for something else such as overdraft for working capital. On the other hand, outright machine purchases not only tie up capital, but they also reduce tax-deductible allowances. “The new lease option is suitable for those businesses wishing to upgrade their equipment at a manageable cost and thus remain competitive on the market”, explained Carl Hollier, managing director at IWM. “What’s more, customers can simply add to or upgrade existing equipment at any time during the lease agreement, which is greatly beneficial for those businesses wishing to expand or increase their food production lines”, he concluded. For example, the compact CW4BT cabinet utensil washer is available from as little as £24 per week, with larger models in the range such CW6BT and CW8BT starting £34.50 per and respectively £45/ week. 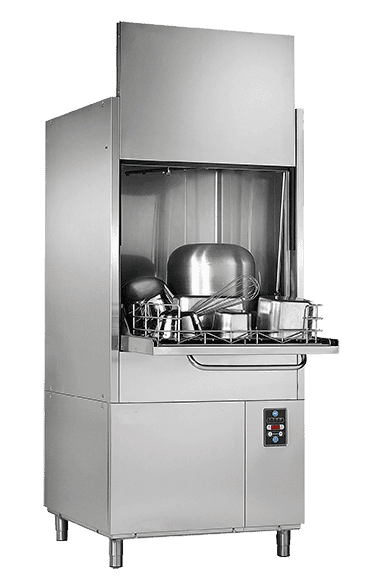 Thanks to its solid construction and user friendly operation, the new CW range of cabinet washers are ideally suited for efficient batch washing of a wide range of items, including trays, machine components/change parts, weigh pans, buckets and utensils.